In the hearing writ petitions praying for video recording and live streaming of court proceedings on Monday, the Supreme Court bench of Chief Justice Dipak Misra, Justice D. Y. Chandrachud and Justice A. M. Khanwilkar remained non committal on taking “an interim view in respect of matters of national importance”, as requested by Senior CounselIndira Jaising (petitioner-in-person), and insisted on hearing the Attorney General as well as the bar. “My prayer is limited to the matters before the Constitution bench...Your Lordships shall agree as to the urgency, considering matters which are of great constitutional moment are scheduled for hearing by the Constitution bench...the Aadhaar hearing is underway...these are proceedings which the whole country should watch...”, submitted Ms. Jaising. “Even if live streaming is not permitted, Your Lordships may consider video recording of the proceedings which may be preserved and kept in the Supreme Court Museum...”, she continued. “We do have the written submissions of the parties in all cases...they are being preserved as a part of record...”, interjected the Chief Justice. 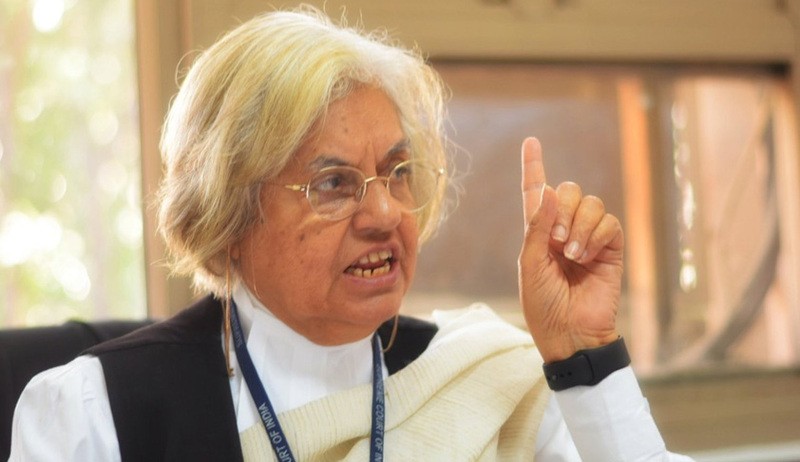 “Your Lordships also permit oral arguments...there are three possible options- live streaming, video recordings and transcripts...every constitutional court in the world allows for transcripts of court proceedings...Your Lordships may allow this for the archival records of the Court only...”, responded Ms. Jaising. Attorney General K. K. Venugopal, advancing that the copies of the petitions have not been received by the Central agency, remarked that it has to be determined if live streaming of the proceedings of all court or any one court and of all matters or only specific matters may be permissible. The Bench has then adjourned the case to may 3 for the response of AG. The hearing saw a reference to the order of the Bombay High Court in Sunil Gupta v. Dept. of Legal Affairs (2016) and Indur Kartar Chhugani v. State of Maharashtra (2016) dismissing pleas for similar relief, and the subsequent judgment of the High Court in Navniit Tarachand Kkhosla v. UOI (2016) wherein the prayers for video recording or telecasting of court proceedings were denied relying on the aforesaid order. Subsequently, Ms. Jaising advanced that two letters in 2015 and 2016 were addressed by the Law Ministry to successive Chief Justices of India to inquire about the Supreme Court’s stand on the issue.